Abstract: When patients with cirrhosis and severe thrombocytopenia suffer malignant tumors, there is usually no effective and feasible treatment method due to the high risk of hemorrhage. 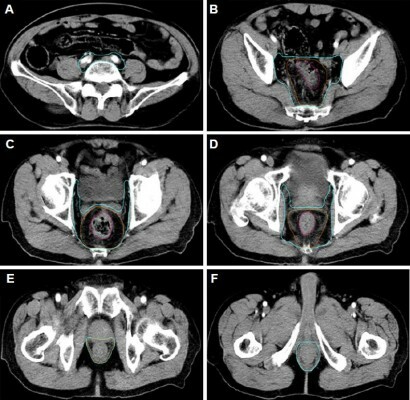 Herein, we report a case in which radiotherapy was given to a patient with a strong desire for the treatment. The patient was a 66-year-old man with a 13-year history of cirrhosis and a 10-year history of thrombocytopenia, and was diagnosed with locally advanced rectal cancer (LARC; T4aN1M0, stage IIIB). The platelet count before radiotherapy was 32 × 109/L, and the blood coagulation was normal. The severity of thrombocytopenia increased after 2 Gy × 7 fractions pelvic radiation, with platelet counts dropping to 16 × 109/L. Platelet counts failed to return to pre-therapy levels after supporting therapy including recombinant human interleukin 11 subcutaneous injection and platelet transfusion. Although radiotherapy was discontinued eventually, the data presented here represent a valuable resource that can help inform treatment decisions for tumor patients with cirrhosis and thrombocytopenia.